New Zealand farmers have been successfully growing commercial blackwood in plantations for the past 30 years. Farmers in Chile are rapidly catching up. Many Tasmanian farms have land that is suitable for growing commercial blackwood in plantations, land that is currently unproductive. This is often difficult-to-access or wet corners or slopes that are currently growing weeds, bracken or blackberries. Whether a cropping, dairy, grazing or lifestyle property most farms have these areas. Any property may have a number of these areas and they don’t have to be very large. Difficult terrain obviously results in increased establishment and harvesting costs, but a long-term, high-value investment on these sites makes good sense for many reasons. Tasmanian farmers generally do not have a tradition of including wood production into their farm production, nor do they generally regard themselves as long-term investors (like growing trees for 30+ years) unless it directly complements short-term income (eg. fences, sheds, etc.). This is in stark contrast to other parts of the world (eg. Europe) where forest production is an integral part of farm income. Changing this culture in the farming community will take time and much great engagement from the forest industry. One way for farmers to look at plantation investment is to see that a series of long-term investments will eventually become a series of short-term incomes. Currently almost all blackwood timber harvested in Tasmania comes from public native forests that have been the subject of decreasing commercial viability and increasing community conflict over many decades. There is a significant risk this resource will become commercially unavailable; at best it is static – it cannot be increased or managed to meet changes in market demand. A smaller but unknown amount is harvested from the blackwood resource on private land. Most of this resource is unmanaged, of poor form and generally of low commercial value. Few farmers are actively managing blackwood for wood production. This existing resource could be better managed to improve its productivity and value. Plantations are the quickest way blackwood timber volumes from farms can be increased to help fund a growers cooperative. Because of its high market value, blackwood can be established in small plantations and still remain profitable. Blackwood timber is highly variable in quality (colour, basic density, etc.). Limited research has shown that much of this variation is genetically controlled. Developing a plantation resource will enable a breeding program to be established to improve the quality and consistency of blackwood timber, which will then lead to improved profitability of the plantations. Before outlining the technical issues around growing plantation blackwood we should discuss the human factor – generally overlooked in the scientific, technical literature. The first requirement for successfully growing plantation blackwood is commitment. 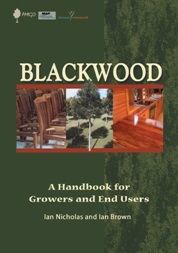 Blackwood is not a plant-and-forget species; not if you want to produce quality timber anyway. It requires commitment on the part of the landowner. Now read on and find out why. Careful site selection involves good rainfall (>1000mm annual), good soil moisture throughout the growing season, shelter from wind from either existing vegetation or topography, and soils that are not heavy clays. Ideal sites for blackwood are sheltered gullies, and lower valley slopes. 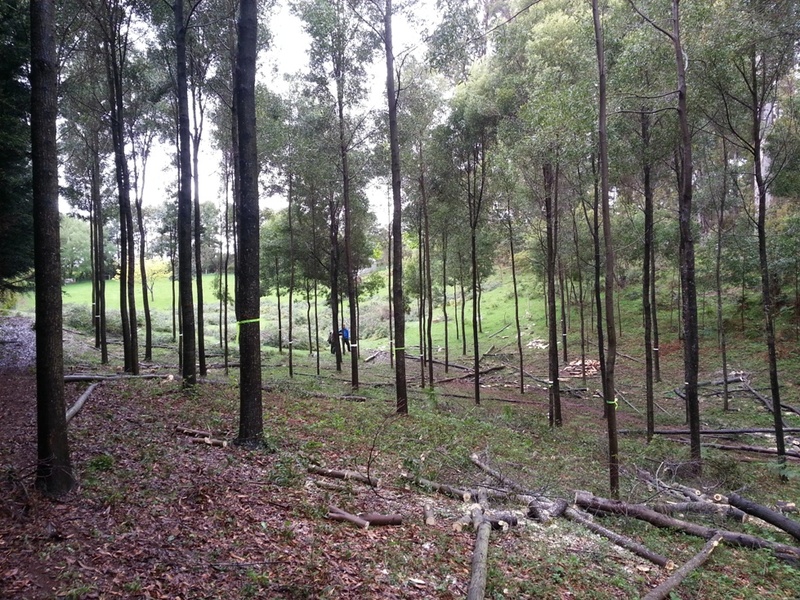 Many farms in Tasmania have areas that are ideal for growing commercial blackwood that are currently unproductive. Research and observation has shown a clear advantage in encouraging rapid early growth in blackwood. This can be achieved by providing conditions where growth is rapid and sustained, and stem malformation less prominent. Fast growing blackwoods generally have better stem form that reduces the need for corrective pruning. After careful site selection weed control, fertiliser, cultivation and protection from (wildlife and domestic) browsing are the key aspects to achieving good early growth. 3. The third principle is to use a system of management that will ensure the formation of a well formed straight [branch-free] 6 metre stem. I recommend either the New Zealand regime (Nicholas and Brown 2002, p. 73), or my own simplified version of the NZ regime. Annual weed control (for the first ~5 years) and annual pruning (for the first ~10 years) are critical to both of these regimes. The NZ regime also requires two waste thinnings before age 10 years. Hence the need for commitment on the part of the landowner. After 10 years the plantation should be able to be left to grow to final harvest. New Zealand farmers are expecting to harvest ~300 cubic metres of premium blackwood sawlog per hectare at final harvest. The age of final harvest will depend upon growth rates needed to achieve the 60 cm diameter trees, but 35 years should be possible on an average site. This compares with 30 years needed to grow Radiata pine for the sawlog market. To learn more watch the online video Blackwood in New Zealand produced by the NZFFA and AMIGO. This video runs for 45 minutes and contains a wealth of information and inspiration. I have copies of this video available on DVD at $25. Contact me if you want a copy. If you are a farmer or landowner and are interested in finding out more about plantation blackwood please contact me. Planting time is April/May so work needs to start at least 2 months before this. See the Contact page for details.